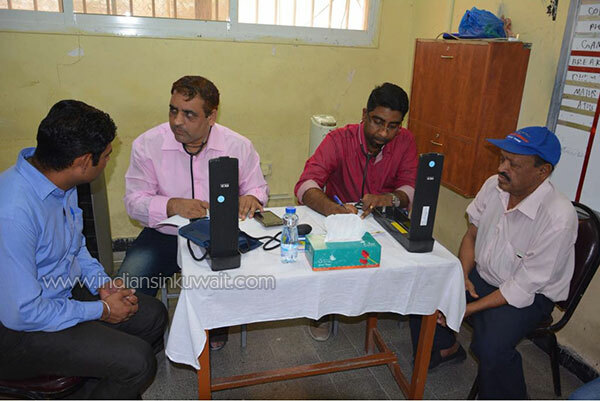 The 'OneNess Association' that serves Indians in Kuwait by promoting sociocultural and humanitarian activities, organized a medical screening camp in collaboration with Indian Doctors Forum (IDF) and Kuwait Medical Association (KMA) on Friday 6th July 2018 at the Indian Community School in Salmiya. This was one of the association's efforts to promote the importance of service to the community irrespective of cast, creed or color. 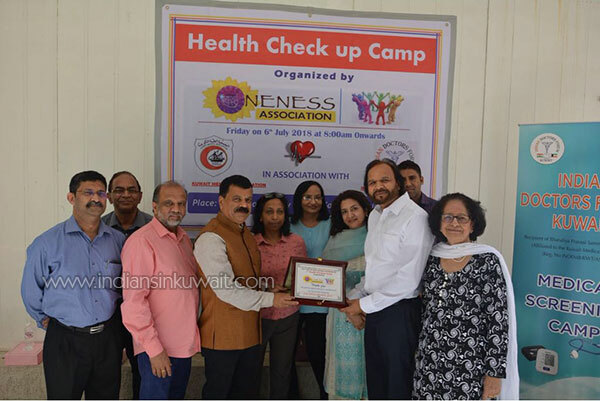 Organized by Mr. Naresh Lahoria, Incharge, OneNess Association, Dr. Preeti Jolly, Member, OneNess Association and IDF and Dr. Sunny Varghese, Community Secretary, IDF, along with other active members of the association the camp attended to over 200 community members. 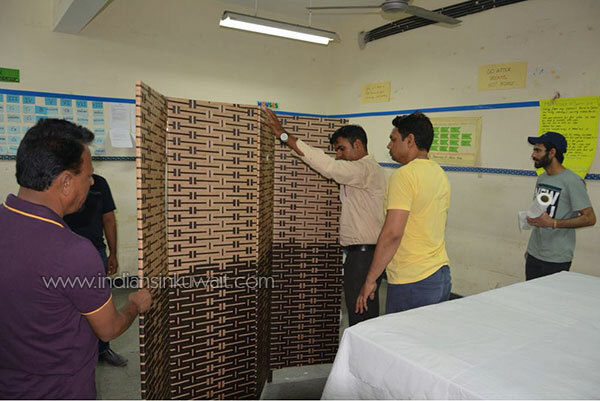 While the camp was conducted only for a day, the preparations and wrap up was a longer exercise. About 30 volunteers gathered, a day prior to the event and put in an tremendous effort to clean and organize the venue. Hours of hard work went into transforming the dusty, dormant classrooms and empty corridors into a buzzing centre for social service. All the rooms were cleaned and washed thoroughly, with toilets sanitized to perfection. 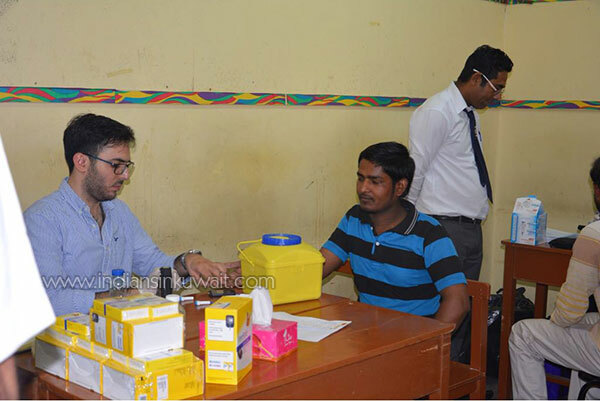 Within hours there were dedicated rooms for Registration, vital statistics and initial blood check ups and various specialties. Every room had the required equipment for basic medical examination with screens put in place for patient privacy . A dark room was also set up for ophthalmology and vision testing. 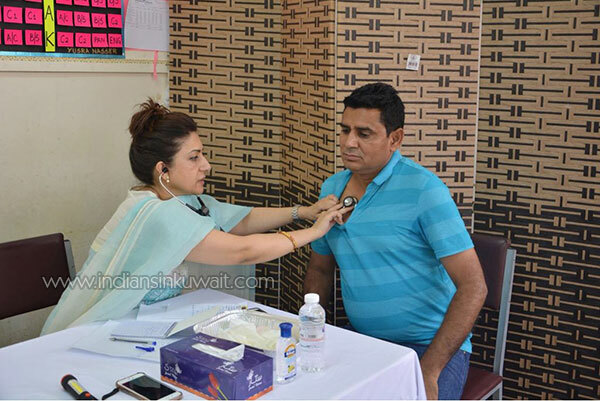 Out of all the individuals screened, a large number of chronic diseases such as diabetes, hypertension and cardiac cases were detected and referred for further follow up. As the individuals had come in fasting, a special provision was made to provide them with community meals following the check up. 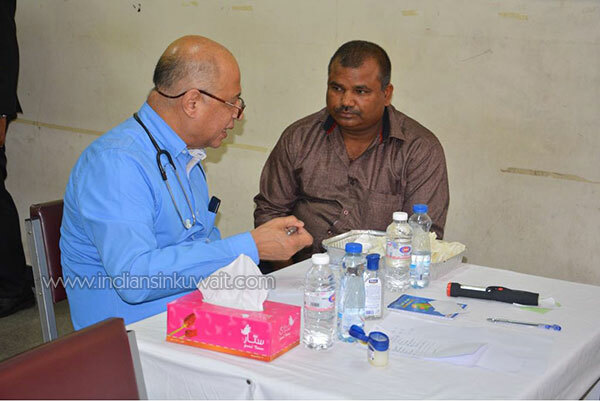 The IDF team led by Dr. Surendra Nayak, President, rendered their full support with various specialists who gave their valuable time for this noble cause. A memento was presented by the Association to IDF as a token of gratitude for the selfless services rendered by the doctors. 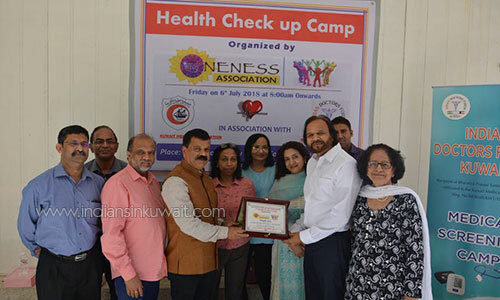 The OneNess Association kicked off its activities in the community through this medical screening camp and looks forward to contributing further with equal efforts and dedication.